Thanks to all who voted for this dress last night on Snapchat. Sometimes I just can't figure out what outfit to post on the blog and it helps having everyone's advice! There was a close race between this look and the one for tomorrow (the yellow Barbour). Anyways... hi! This has been one of my favorite weekend looks recently. I got these shorts and they are SO comfortable. They have an elastic waistband and are super flowy. Plus, I mean they have pineapples and pom poms on them. Do you need more? 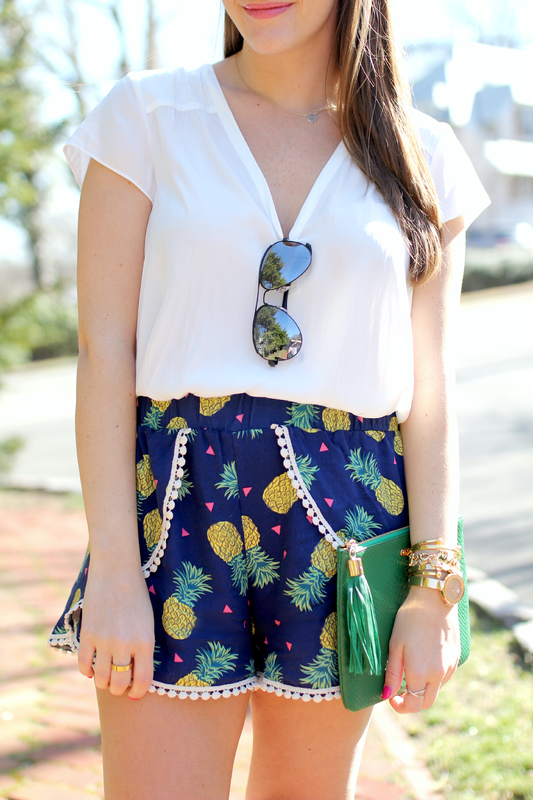 I need those pineapple shorts in my life. Adorable. I love all the pineapples lately! I need these shorts for sure. I also have your pineapple shoes - I got them at omar + elsie too! I love that place! 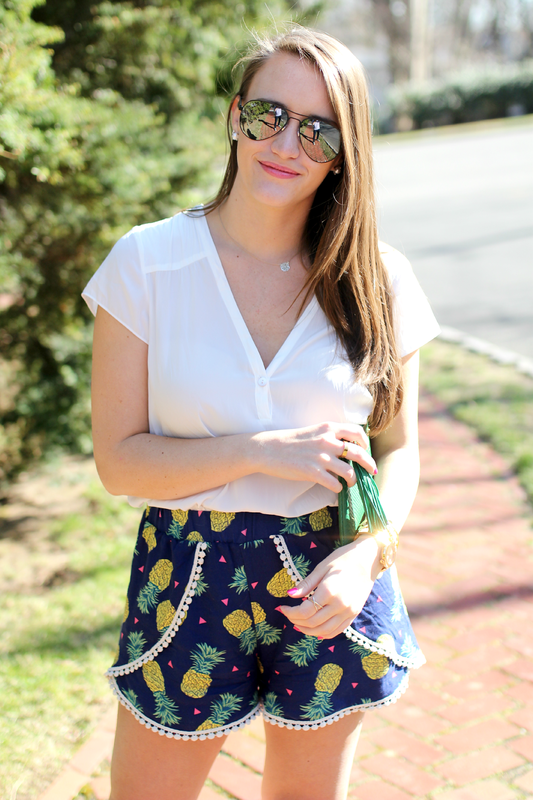 Obsessing over pineapples lately as well! Super cute with the little pom poms. And the clutch. O.M.G. 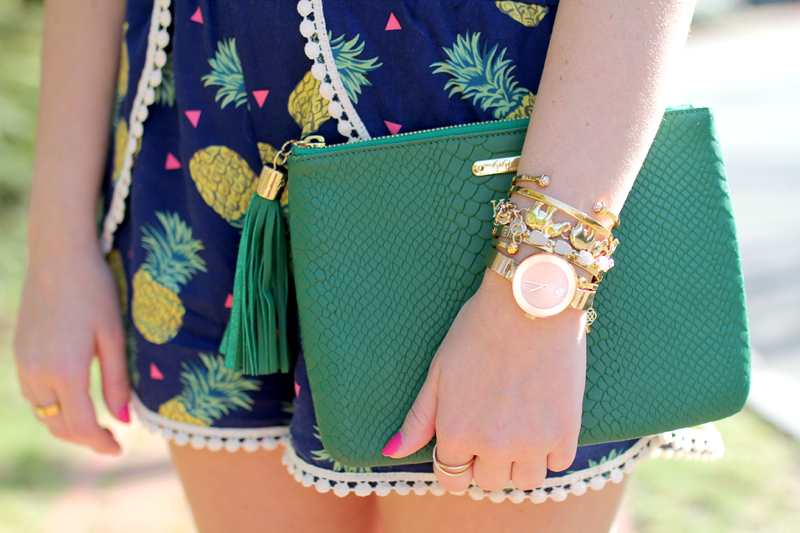 Tassels and green are everything. 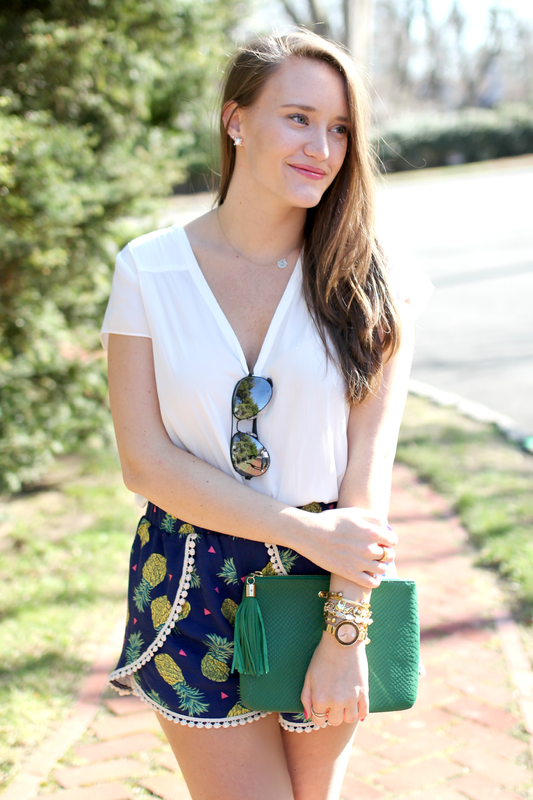 Your blog is quickly becoming one of my favorites! Absolutely LOVE your shorts and need them in my life, like now! <3 they're super cute! !